Locally, the issue of car parking charges has cropped up from time-to-time, with some politicians arguing for a reduction, e.g. £1.00 for 3 hours parking at weekdays. 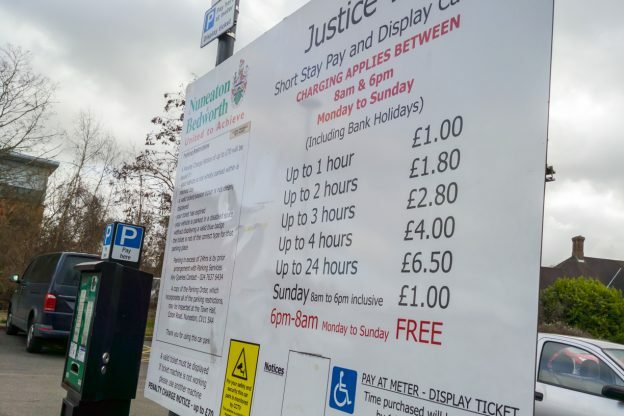 The argument for a reduced car parking charge is that it will encourage visits to the town centre, and with it being a fixed cost for a longer period of time, these visits will also be extended as people won’t be rushing back to their cars to avoid the next tariff. However, I maintain this is a bad idea and often say so on Twitter. To save me making the same arguments over and over again, it’s now high time that I put them here! 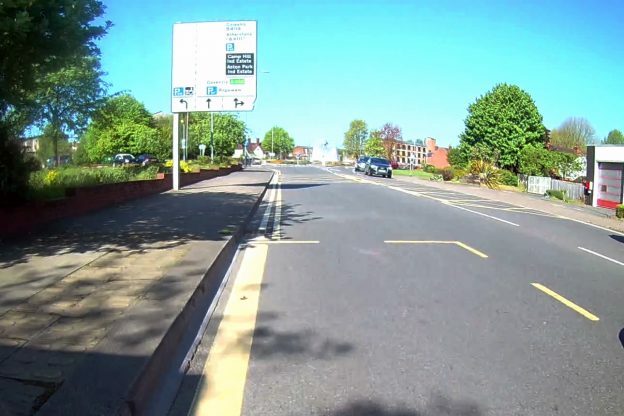 This entry was posted in Blog and tagged car parking, NBBC, Nuneaton, Nuneaton and Bedworth Borough Council on 19/02/2019 by Ben. On Tuesday last week, I finally received my long-awaited order of a Swytch E-Bike Conversion Kit – a project I backed on Indiegogo back in February 2018, nearly a year ago. 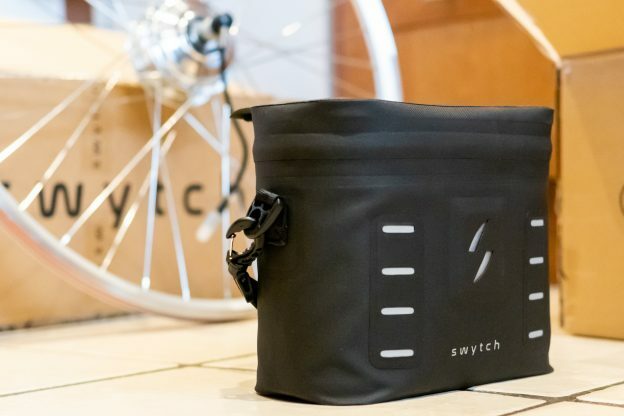 The Swytch is an all-encompassing kit that promises to convert 99% of regular cycles into electric-assist cycles tidly and with relative ease. It’s unique selling point however, is that this is not a one-way conversion. It uses a ‘power pack’ that can be docked to the handlebar when the user wants an e-bike, or quickly removed when the e-assist isn’t required. It was this feature that sold me on the idea. This entry was posted in Blog and tagged e-bike, Electric Bike, Swytch on 09/02/2019 by Ben. It’s so easy to get caught up in the demand for long, protected cycleways and high quality infrastructure (a worthy goal, of course), that it’s easy to overlook how making relatively small adjustments can make a notable difference for cycling. One such location occurred to me today as I was cycling to the neighbouring town of Bedworth. My most direct route which also avoids the worst of the hills is obstructed at one point, where a cyclist is presented with two options: 1) dismount, walk a short distance along the footpath, use a pedestrian, walk a further short distance on the footpath before joining the next road to continue ahead, or 2) follow the road on a diversion that loops around to the destination and also includes hills on a busy main road. 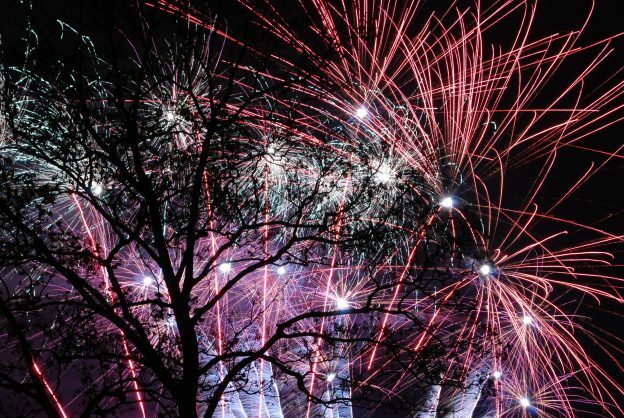 This entry was posted in Advocacy, Blog and tagged Bedworth, Infrastructure, Nuneaton, Warwickshire on 29/01/2019 by Ben. 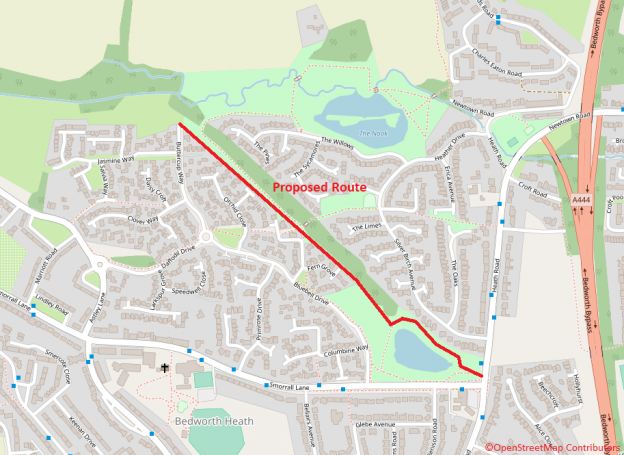 A plan exists in Nuneaton and Bedworth Borough to create a new cycle and walking link adjacent to the route of a now disused railway line – from ‘The Nook’, a small nature reserve on the western edge of Bedworth, down to the corner of Heath Road and Smorrall Lane. This scheme is an interesting one because, in my opinion, it shows the problems that can occur when only considering infrastructure as its own little project and not part of a wider network, and perhaps not properly considering cycling as an alternative means of transport to the car. 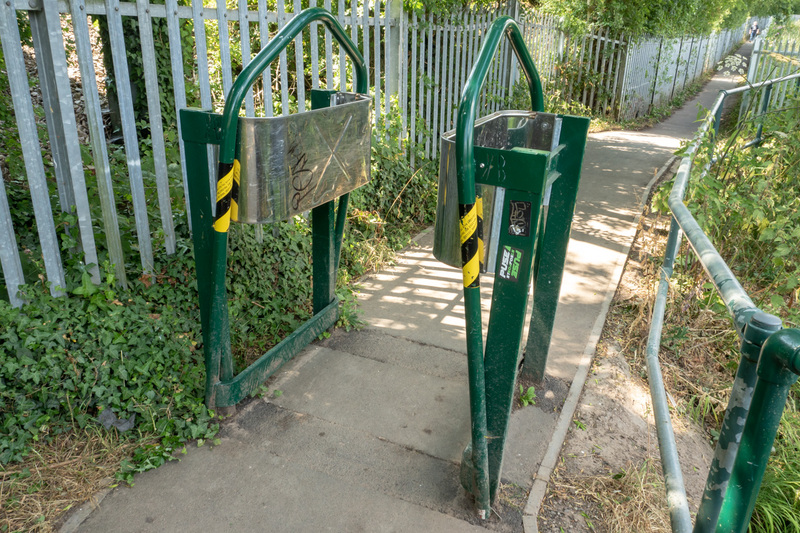 This entry was posted in Advocacy, Blog and tagged Bedworth, Cycle Path, Heath Road, Infrastructure, Smorrall Lane, The Nook on 10/01/2019 by Ben. Here we are in a new year, and as always this is a good time to review the past twelve months. 2018 was my first full year of active cycling and so, whilst I inevitably compare to my first 6-7 months of cycling throughout 2017, I’ve now got my first annual benchmark. This entry was posted in Blog and tagged New Year, Objectives, Veloviewer on 01/01/2019 by Ben. 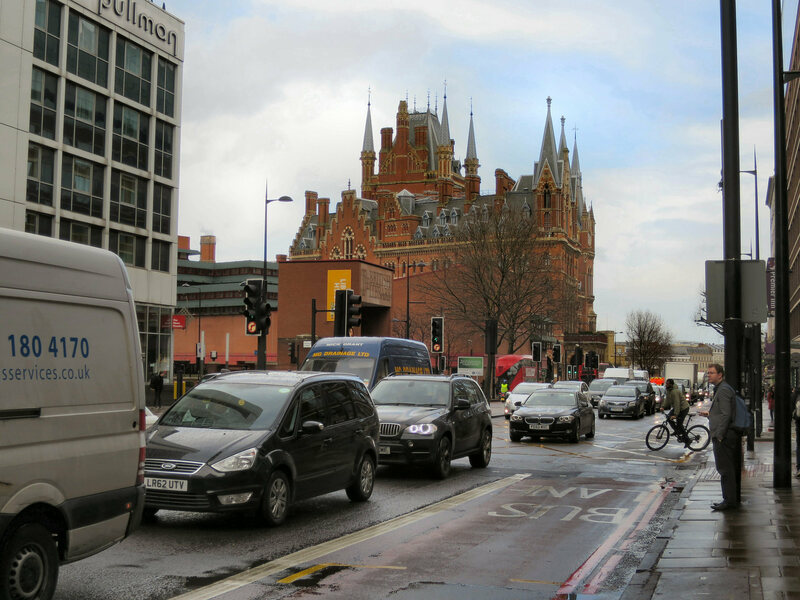 On 13 December, at a County Council session, the issue of excessive traffic causing unsafe levels of pollutants in the air was raised by Cllr Caroline Phillips. This was in specific relation to the ring-road in Nuneaton, where a bottleneck in the short route causes surrounding major roads towards the town to seize up. You can watch Councillor Phillips raise the matter in the following video, which starts from the appropriate point. This entry was posted in Advocacy, Blog and tagged Air Quality, Cllr Phillips, Infrastructure, Nuneaton, Roanne Ringway, Traffic Management, Warwickshire CC on 17/12/2018 by Ben. This entry was posted in Advocacy, Blog and tagged Air Pollution, Climate Change, Infrastructure, Letter to MP, Politics on 26/11/2018 by Ben. 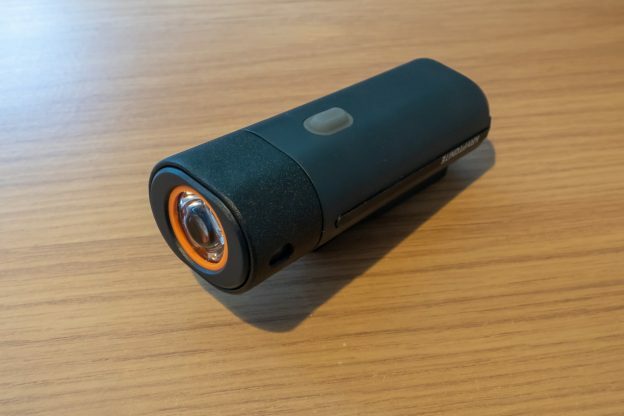 This entry was posted in Blog and tagged Lights, Review on 23/11/2018 by Ben. This entry was posted in Advocacy, Blog and tagged K-Frame, National Cycle Route 52, NBBC, NCR52, Nuneaton, Nuneaton and Bedworth Borough Council, Weddington, Weddington Walk on 21/11/2018 by Ben. This entry was posted in Advocacy, Blog and tagged Air Pollution, Climate Change, Infrastructure, Letter to MP, Politics on 01/11/2018 by Ben.